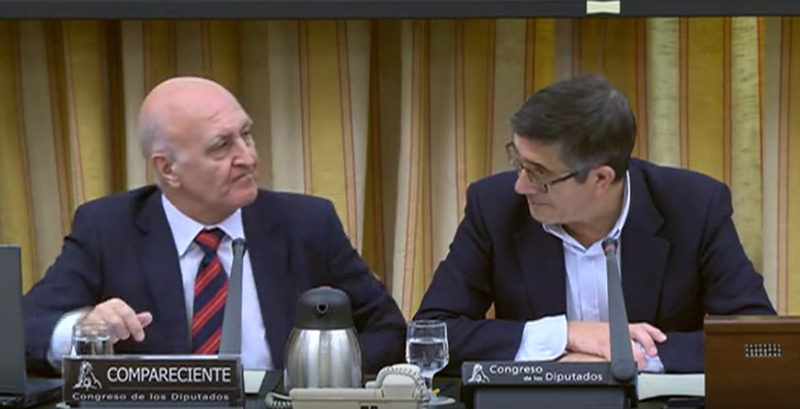 Antonio Cano, president of the Spanish Society for the Study of Anxiety and Stress (SEAS) and member of the PROEM network, appeared before the Commission for Health, Consumption and Social Welfare on 25 October to present different proposals towards fighting stress and anxiety. During his intervention, the professor of the Complutense University of Madrid explained several aspects related to the network’s research and practical work that revolves around their efforts to raise awareness among local authorities, institutions and groups to prevent these types of problems. He also described the main lines of action undertaken by the network when it comes to promoting mental health and emotional well-being in young people at an educational level. Over the course of the presentation, Antonio Cano listed some worrying figures on the prevalence of emotional disorders, especially anxiety and depression, and discussed the latest findings from the Psicap clinical trial. Lastly, he highlighted the seriousness of the situation in which emotional disorders of this kind are only attended to in primary care consultations, whereby the doctor is only given five minutes with each patient, despite the fact that “these problems cannot be resolved in five minutes with a tranquiliser or sleeping pill, nor with an antidepressant”. Felicitaciones al Dr. Cano Vindel por su presentación !!! !